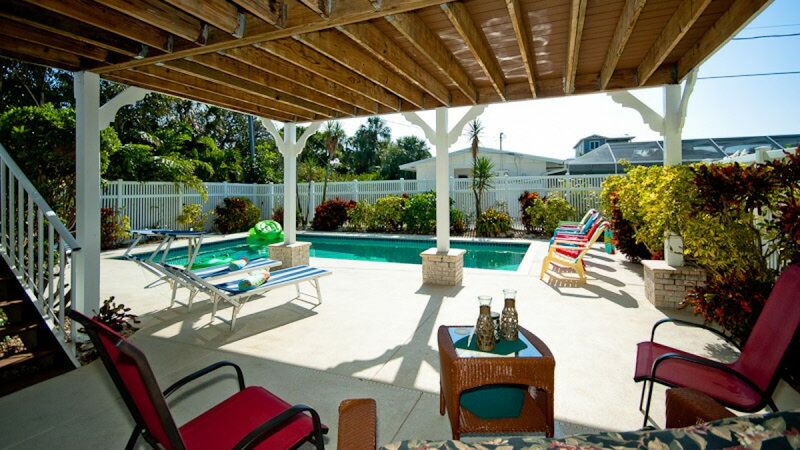 You will love this home on Anna Maria Island. The Island is like the sleepy beach villages of long ago: no rides, no boardwalk, just a leisurely place to relax and enjoy the water, the beach, the pool and rejuvenate. 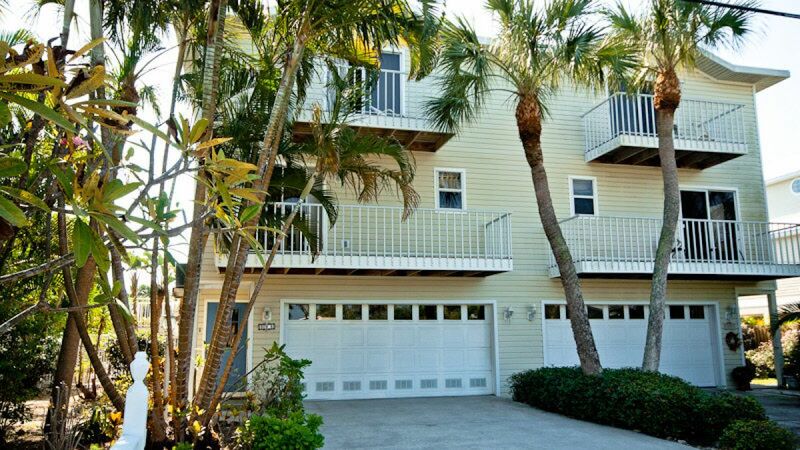 This spacious 1600+ sq ft 3 story townhouse is a nicely decorated beach house with a gulf view and a beach view from the upper balconies. It has your very own large PRIVATE heated pool for use by this property only which has two outside showers (1 open and 1 closed for privacy) in the pool area. 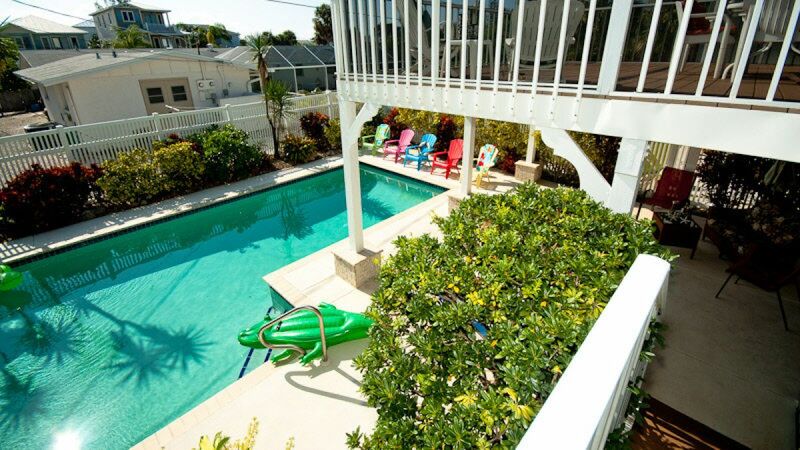 You can come home from the beach, rinse off, and jump in the pool. The white sandy beach is only a 5 minute walk away. The house has a 2 car garage and a pool room on the bottom floor with sliding glass doors to the pool. The 2nd floor has a large living room. The lanai is fully screened and has seating for 6. The dining room seats 6, the kitchen has everything you need to cook. The island has plenty of restaurants at all prices which are very good and easy to get to on the FREE island trolley. The top floor has 2 large bedrooms, the master has a king bed and very large walk in closet to hold your suitcases and whatever you bring with you. 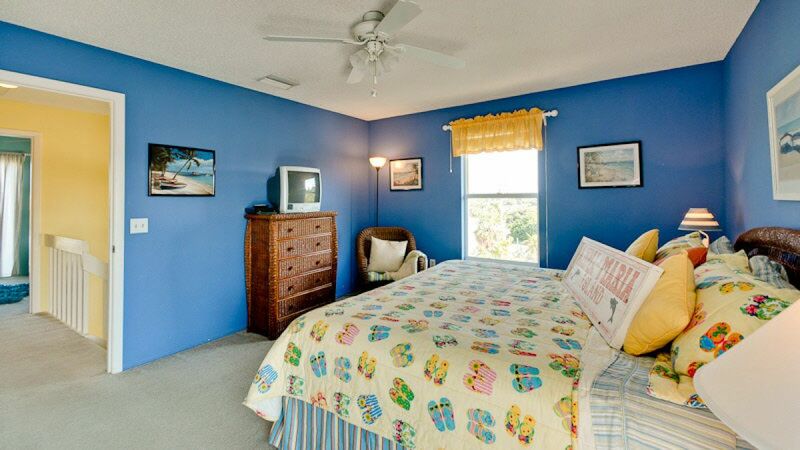 The other bedroom has a 2 twin beds with a TV. 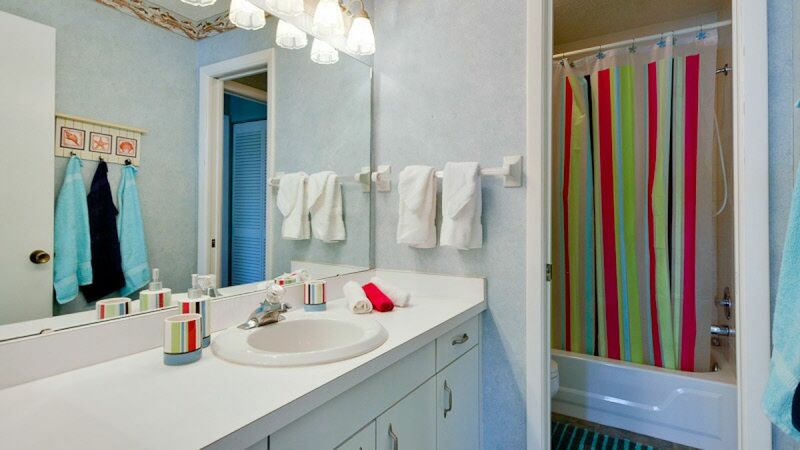 There is a full bath for each bedroom and a half bath on the second floor off of the kitchen. Please contact me with information regarding Sandcastle. The vacation rental was decent. The space was nice. There are some things that need attention. The carpet on the top floor is dirty, worn, and definately needs replaced. The chairs on the pool patio need updated as well as the lanai patio. Nothing matched. Lots of random chairs. The furniture in the living area is worn and needs relaced. I covered the sofa’s with a sheet. Wir verbrachten 3 Wochen in diesem Haus. Es war sehr sauber und die Lage ist ebenfalls sehr gut.Sicherlich ist das Objekt etwas „in die Jahre“gekommen und bei unserer Ankunft war der Teppich recht fleckig und auch in der KÃ¼che waren einige Utensilien defekt.Nach Weitergabe der MÃ¤ngel wurden diese umgehend behoben.Wir wÃ¼rden dieses Haus empfehlen und kommen bestimmt wieder. House was great and pool even better! Maintenance issues handled immediately and service was great. House is older and not as updated as others on the island but it suited our needs well. The wagon to carry things to the beach was a plus. Brand new ping pong table was nice too! OMG this property was absolutely amazing. The pictures donâ€™t do it justice. 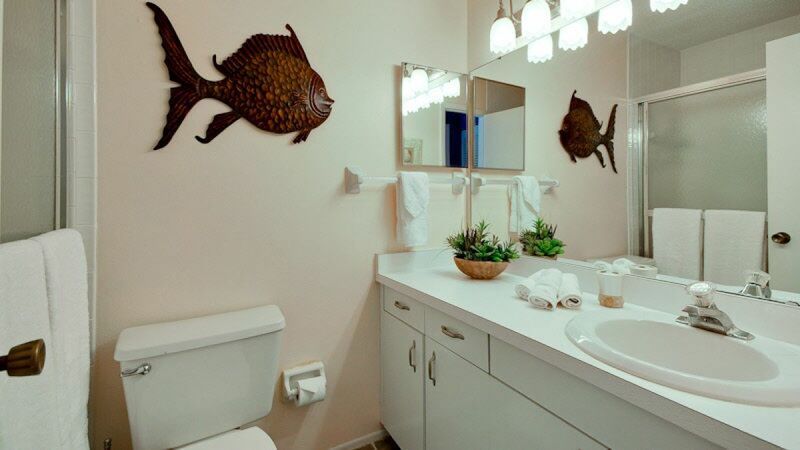 We were extremely pleased with the location and the cleanliness. it is a 3 block walk to the beach but they provide you with a beach wagon, chairs and umbrella. Everything we needed for the beach was there and we didâ€™t have to go out and rent anything. The pool was clean and the temperature was heaven. It mentions it has a heater but you do not need it turned on. It was like 82 degrees day and night. The layout of the house was so nice and we were able to bring our furbaby with us. The staff went above and beyond to help me decide before I rented and were there for me if I needed until I checked out. We will definitely be coming back and staying at the Sandcastle. Es waren die erholsamsten Ferien seit ewigen Zeiten! We stayed 2 weeks in a beautiful home. This House is perfect for just relaxing and having a good Time. 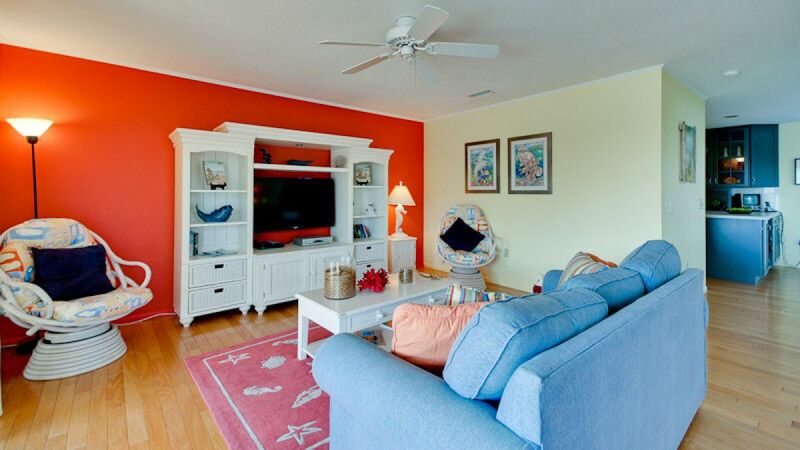 5 min to the fantastic beach and all beach stuf you will find in the house. We will come back for sure! Overall a good experience. The house was very clean but could use some upgrades in the kitchen and with the TVs. The pool was large which was great for maximum floating! Also, the beach is just a 3 block walk down the street which made it so convenient. The room with the pool table (not ping pong) had a strong musty smell so we didn't use it and the patio furniture could use an upgrade as well. Overall a nice trip if you are looking for an inexpensive way to enjoy the beautiful AMI beaches and restaurants nearby. My family and I stayed here in early June, and it was perfect for our needs. While it's a little older and has some wear, it was very clean and cutely decorated. All the appliances you could need were available, although unlike most rentals we've stayed at there were no staples left, like salt and pepper or oil. We really enjoyed the pool and the pool table is fun if you're not a pro, because it is very uneven. The outdoor seating was nice, although there was some construction going on behind the house. And I loved the lush landscape with the plumeria tree, however the landscapers were cutting it all out when we left. :( Easy walk to the beach, and easy drive to anywhere on the island. Easy to book, and came with an app with all the info as well as a complete instructional binder and multiple brochures and magazines about the local restaurants and activities. We were even accommodated with a late check out! 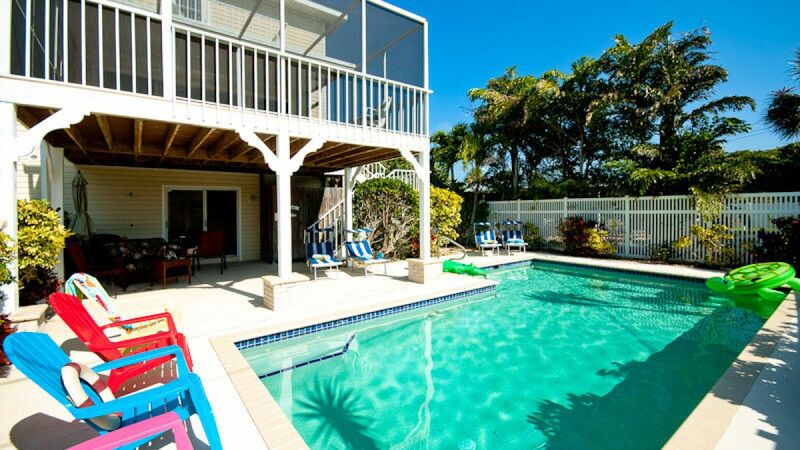 7+ day stay was very enjoyable, close walk to the beach, nice pool and amenities. The property is a little outdated but overall a nice place. My only disappointment was that we arrived on a Friday and the pool wasn't cleaned until Tuesday. We returned a few months later, can't get enough of AMI and no where else we'd like to stay (until we buy our own home and live here on the Island)than the Sandcastle. 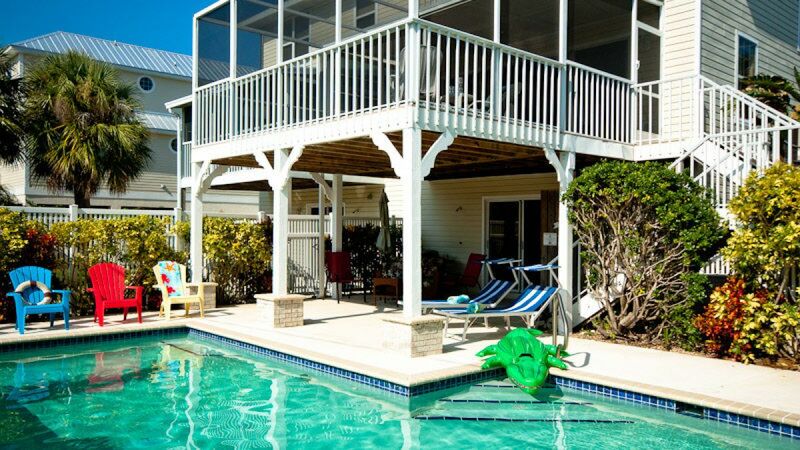 It's clean bright cheery, well stocked with towels, kitchen needs, easy walk to the beach, garage with tons of space for all of our bikes (They have 1 so we rented 3 more, AMI is very bike friendly)...oh, and the pool is such a big hit! We'll be back soon. I feel homesick for AMI and the Sandcastle already!!!! Gutes Ferienhaus mit kleinen MÃ¤ngeln. Hatten eine sehr gute erste Woche trotz Dauerregens. Es fehlte im Haus an nichts. Ausreichend Geschirr u. HandtÃ¼cher. Trotzdem Investitions- u. Renovierungsbedarf, eben kleine MÃ¤ngel im und am Haus, sicher bedingt durch eine Vielzahl an Vermietungstagen Ã¼ber die Jahre hinweg. I was impressed with the management leaving me a note about the construction on the roof next door. It worked out fine and we really enjoyed the place. We had a great time at Sandcastle! It was pleasantly decorated and comfortable. A short walk to the beach. There were some small issues, but all were made aware to the property company. Also, we did like to swim at night, but there wasn't a lot of lighting around the pool when it is dark. The pool is big. 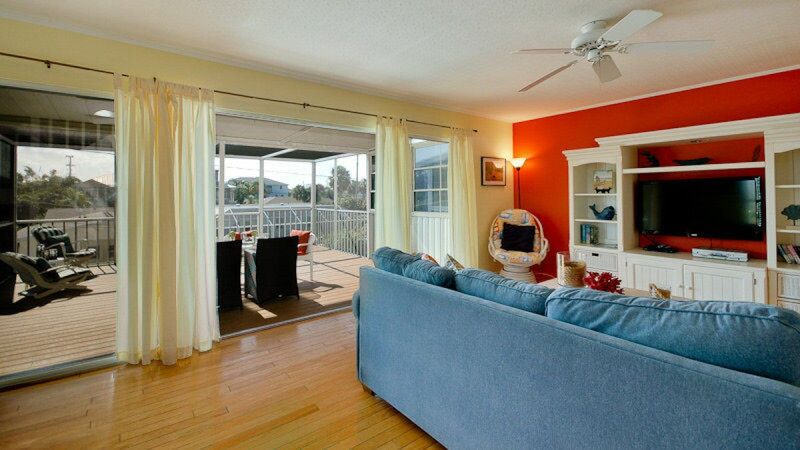 In fact, it is probably one of the largest we have seen offered with a private home rental. 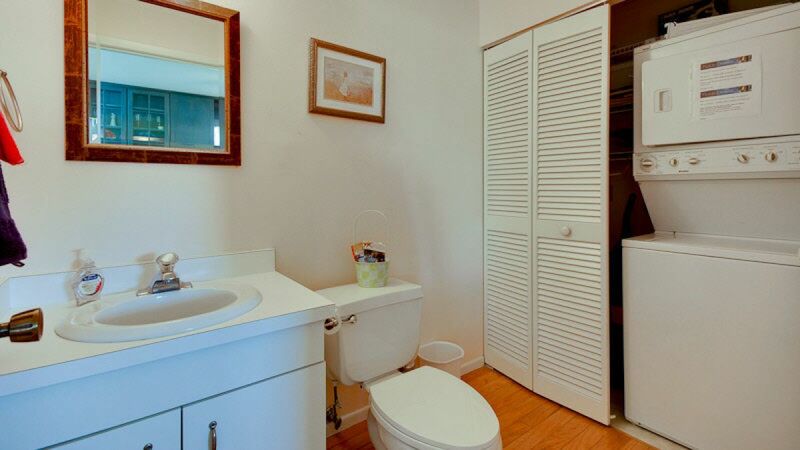 Although the master bedroom is large with a nice king sized bed and a big walk in closet, the master bath is small. All in all, this is a great unit. The rec room needs some attention to spruce it up and some of the game equipment needs replaced, as well as some of the beach equipment. There were a few general repair that were needed, but nothing to stop you from renting this unit. This unit is not over priced and a good deal for what it has to offer. Each bedroom and the living has a television. 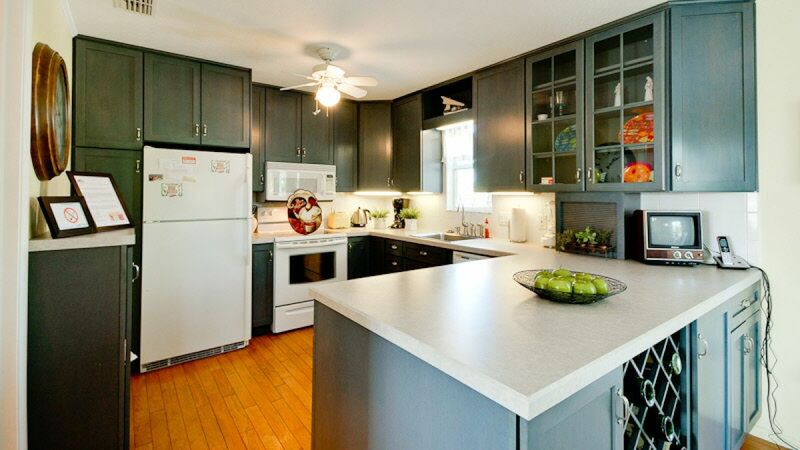 The kitchen has a charming, retro color TV that brought a smile to our face! When was the last time you turned a knob to change your TV channel? I would rent this property again. The owner was easy to communicate with and helped us to plan our stay, check in was easy with a key code entry. Upon arriving the home exceeded our expectations! It was more charming than the pictures and spotless clean! The kitchen had everything we needed to make meals, dishes cutlery bowls cutting boards, pots and pans, the house was so comfortable for our family of 4 and we all LOVED the decor... we did not want to leave and WISH we could buy this home and live here forever!!!! It was so nice to have the pool and we used it every day. The welcome kit was a nice touch, and the beach items like sand toys and umbrellas in the garage were a pleasant surprise to find. It was a short walk to the beach, no need for the car, no busy traffic to cross, 2 quiet side roads. I love the outdoor shower, and never even used the indoor one in the master bath! We can't wait to stay here again. It is quiet safe and family friendly. I hope a longer stay next time! 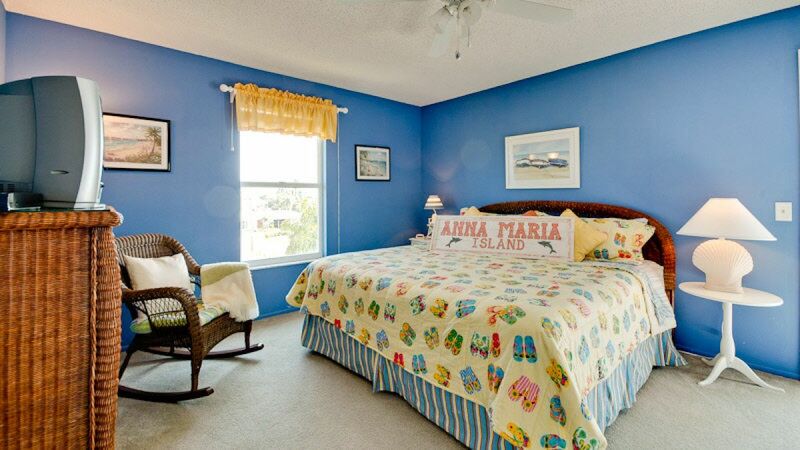 Anna Maria is a beautiful Island, and staying in this lovely beach house made it a perfect vacation. The whole experience was so easy to book and if I had any questions always got a quick response by email, when arriving at the property it was clean and tidy and the outside space was really spacious. The pool is heated and cleaned once a week. We initially had an issue with the hot water but was fixed within 2 hours and then worked perfectly. The location is 5 mins walk from the beach, and the free trolley bus is a bonus, we had a car but that was really used to go to the larger supermarkets at Cortez. The local restaurant Lobstahs was great food and atmosphere and you can get the free bus so can have a cocktail!! 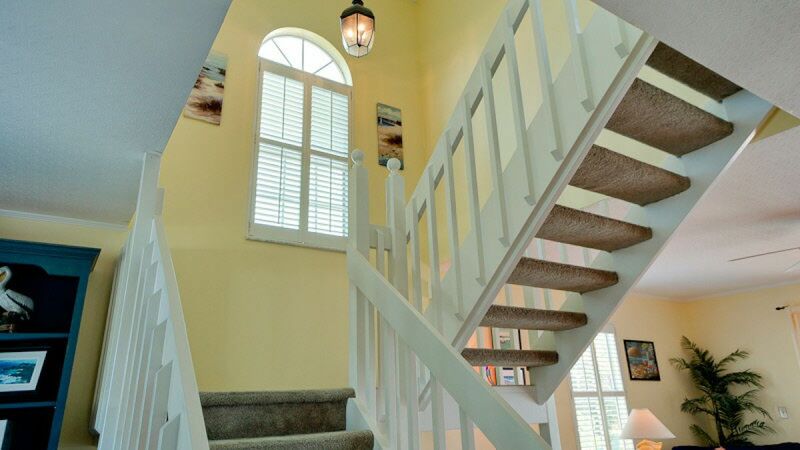 Overall a great home from home suitable for a couple/family would definitely return. We found the location of Sandcastle to be excellent, if you don't want to drive, a trolley bus [free!! ]stops just outside to get to the bars and restaurants just down Gulf Drive or just take some time and stroll. Beach about 2 1/2 blocks [so 300 yds, an easy stroll. House, spread over three floors, clean and comfortable with a good sized pool you can actually swim in. There's a medium sized PUBLIX supermarket about a mile away. Overall just a great location and house. We really enjoyed our stay at the Sandcastle and are looking forward to our return next year. We had a lovely time at Sandcastle! The property was exactly what we expected -- looked just like the pictures, no surprises. 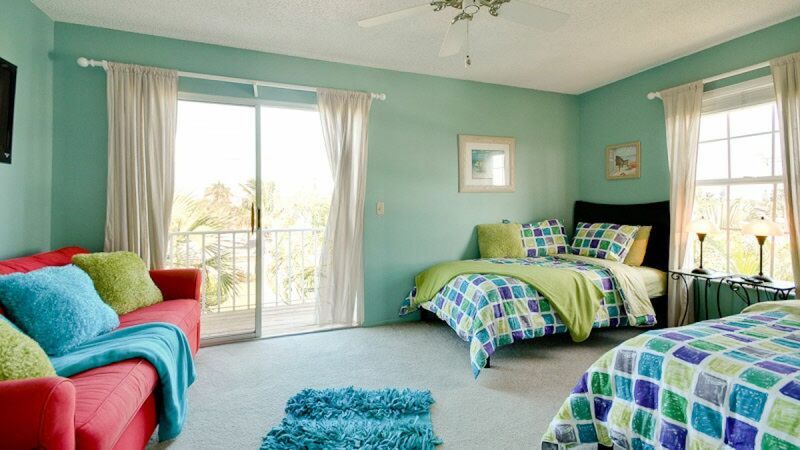 Plenty of space, very clean, easy walk to the beach, great private pool and wonderful screened lanai. Master bath was a bit small but clean. Living room furniture was good although the long sofa had somewhat collapsing cushions. Kitchen was great. Very thoughtful welcome package was much appreciated. The property description was the same as we saw when we arrives. We came with 4 Persons from Germany and stayed for 14 Days. The house was clean and everithing could be used. There was nothing defekt. Because of this we did not need any help from the costumer Service. 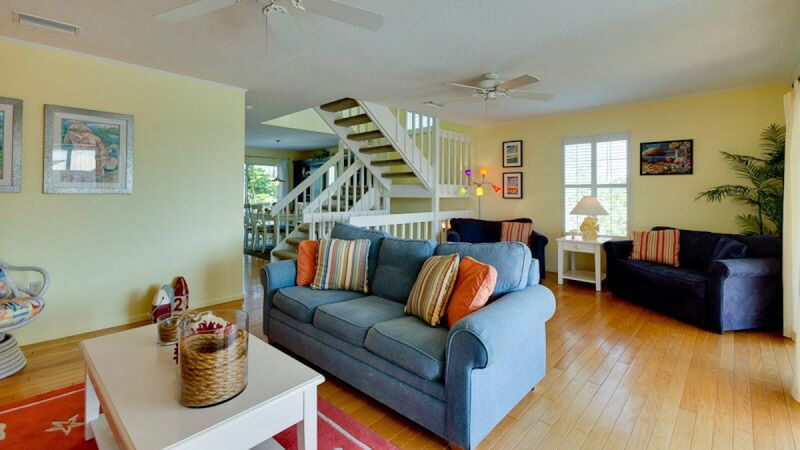 The house is very close to the beach so that we could go there by feet. 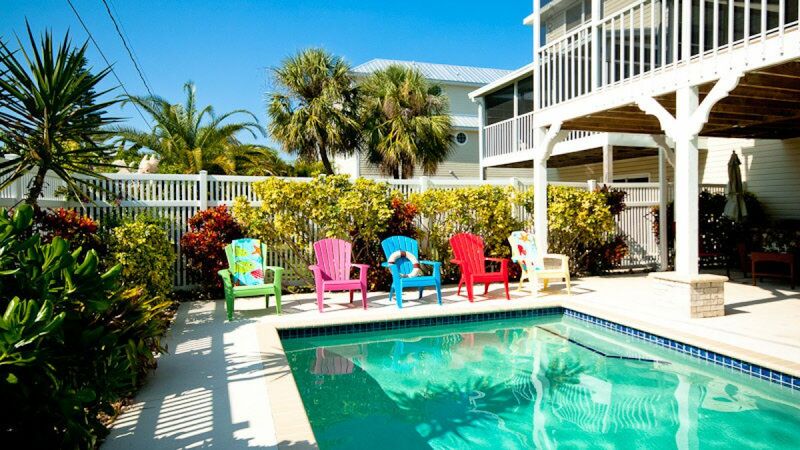 We spent a perfect week in this beautiful townhouse on Anna Maria Island. 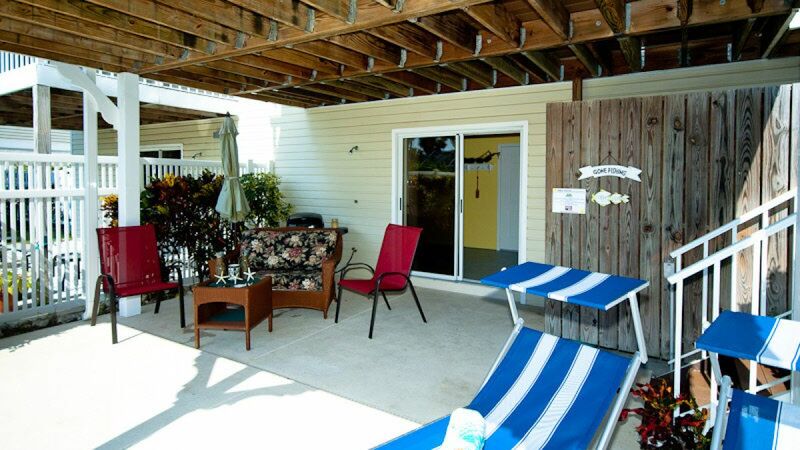 The property is well maintained and we found everything we needed to feel happy. The nice welcome pack for the first needs on arrival, the map with useful information, the nice decorated rooms, the pool especially for our son,the short walk to the beach, the the fully equipped kitchen,the nearby shopping-possibilities, we loved to stay in this house. We hope, we can come back here next time. This is our 2nd visit to Sandcastle and we enjoyed our stay. 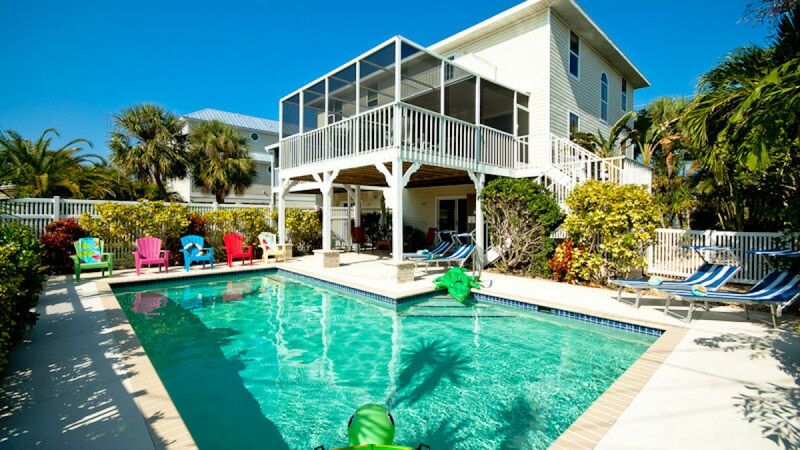 Plan to come back 2015 Spring break!! The location is very good, just two blocks from the beach and the overall design of the place is fine. We would have renewed for the next year without hesitation; the property needs to be renewed with freshened furniture and maintenance cleaning outside. We had a totally enjoyable stay at Sandcastle. This home is beautiful and in some ways was more than we expected. 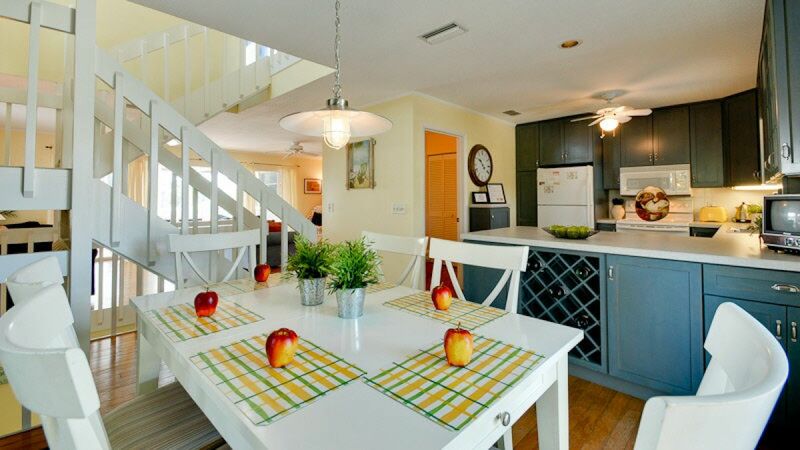 Extra beach towels everywhere,the best equipped kitchen I have seen in the many years that I have been renting vacation homes, and laundry detergent, dish soap, paper towels, etc. etc. There were a lot of bath towels. I could go on and on about the amenities. 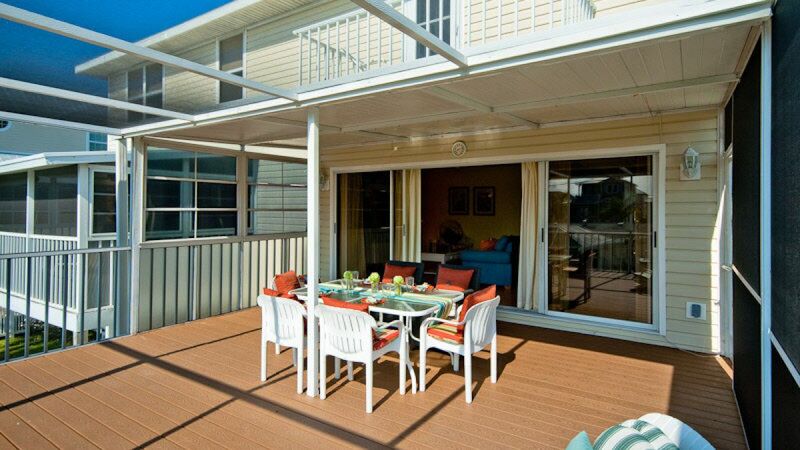 The home has a lot of room and so many decks that you don't have to see anyone if you don't want to. The pool was so warm that even though we had some cold weather we could still swim. We were 4 middle aged women and this home was great, 2 blocks to the beach, beautifully landscaped and a wonderful neighbor. Rent this home, you will not be disapointed. Nice stay. House had everything we needed. BBQ was broken but replaced.